Always call at the first sign of sewer backup. The lowest drain in your commercial property could be a floor drain in a basement, or a floor drain/mop basin in a bathroom. Typically, a basement floor drain or bathroom floor drain will show signs of holding water. Out-of-sight, out-of-mind infrastructure requires a proactive approach to maintenance. 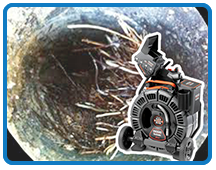 Drain cleaning (roto-rooter) equipment and practices causes aggressive wear and tear on your sewer lateral. Knowing the condition of lateral will prepare you for what is happening underground. All inspections are performed with industry-leading Ridgid SeeSnake inspection equipment. Cracks/holes, offset/slipped joints, tree roots, debris/plugs, missing and/or deteriorated pipe, sags/bellies, poor workmanship from a previous installation – All of which will be mapped and documented with our Ridgid SeeSnake inspection equipment paired with our Ridgid SeekTech locating equipment. 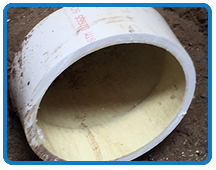 All inspections will be finalized with a full report, assessing the condition of your commercial property sewer lateral. Not sure where one line meets another? Our report will be able to show you exactly where lines converge. Still images and live video will be accompanied with a diagnosis for any/all deficiencies. 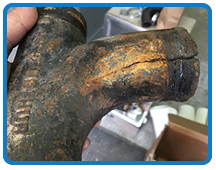 Should the need for repair/replacement arise, we are able to form an estimate based on your report. With the industrial sector often utilizing chemicals, treatments and other various products during their day-to-day operations; we are able to report on what has caused sewer failure under these conditions.